Most visitors will arrive via Ataturk Airport. When you book your accommodation, check with your hotel – many hotels will offer free airport transfers for a minimum stay. If the New District is your destination the airport bus service to Taksim Square is definitely your best bet. At TL10 each way, it’s one of the best deals in town. Otherwise the light rail and then either metro or tram are your best bets. The traffic from the airport into central Istanbul is truly awful at most times of the day, so unless there are four of you, a taxi ride is an unnecessary expense. The Istanbul tram network is great for tourists with many of your target sights conveniently located next to tram lines. Stops are easily spotted, and you buy your token to end the tram stop from a vending machine (marked jetomatic or similar depending on the stop). A few Lira will take you anywhere. Personally, I think Istanbul is also a great city for walking. In fact in some parts of town, particularly on weekends, walking is a quicker option than the bus or a taxi. Streets are well marked, and main tourist areas have good direction signage. Parts of town, particularly in the New District, can be a bit steep, so if you struggle with your knees or fitness, do bear that in mind. The Tunel (pronounced tue-nell) is a good way to beat the big hill from the Galata Bridge up to Istiklal St (TL3 each way). Taxis are cheap and plentiful, but be wary of them when the traffic is heavy. 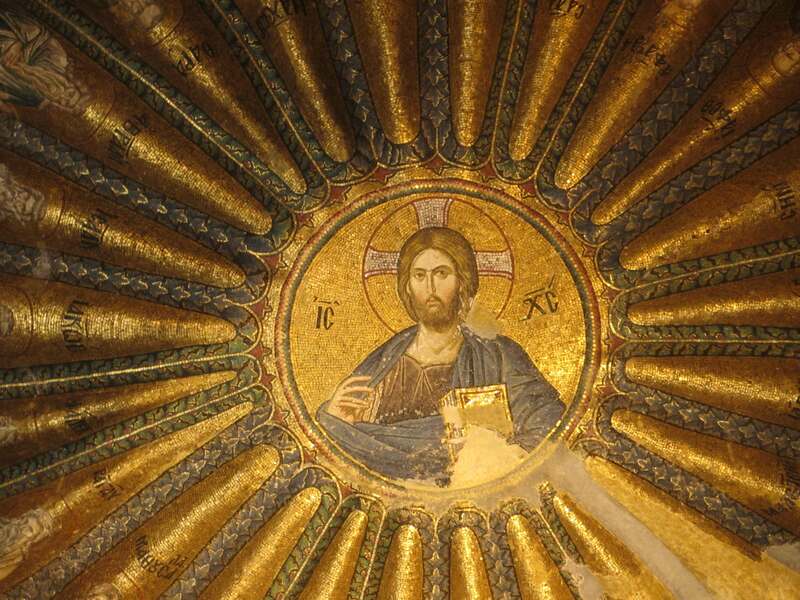 My quick TL20 trip to the Chora Church turned into a TL50 traffic jam on the return journey! Well, where to start! So much to do! 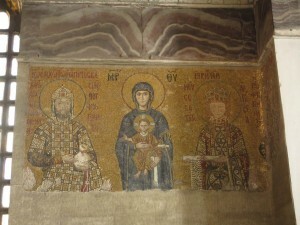 You will, of course, want to see what I call “the big three” – the Topkapi Palace, Hagia Sophia and the Blue Mosque. All different, all beautiful, and all very, very popular. Go early to all of them to beat the crowds. 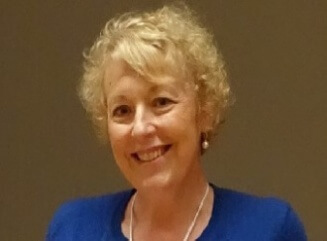 And read my specialised posts for more about all three. 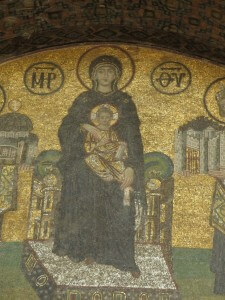 Slightly off the beaten track, and away from the tourist hordes of Sultanahmet, I thoroughly recommend a visit to Chora Church. This tiny Byzantine church is a real jewel. 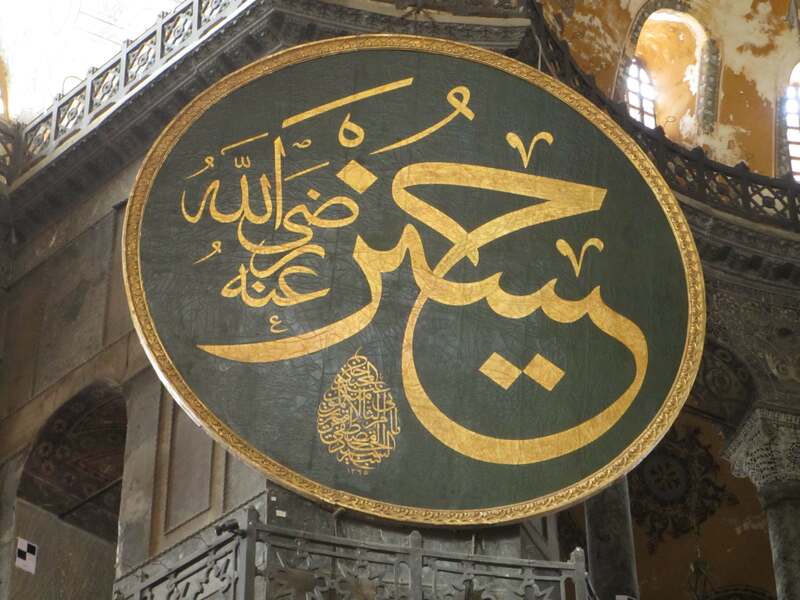 If you like the Blue Mosque, you will love the Suleyman Mosque (just near the Grand Bazaar) and the Rustem Paca Mosque (near the Spice Bazaar, and a little harder to find). 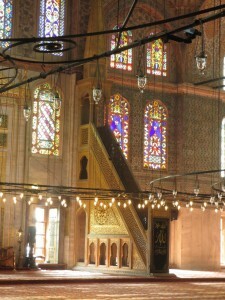 Very different to the Blue Mosque, both are stunning – and far less crowded. The Grand Bazaar and the Spice Bazaar should also be on your list, although the Spice Bazaar does almost belong to the “too well-loved” category – it is horrendously crowded. There are stalls in the street to the right hand side of the Spice Bazaar as you face its main entrance. Prices are much cheaper if you are looking to buy, and the crowds are far less. For me, it’s a far more pleasant experience. 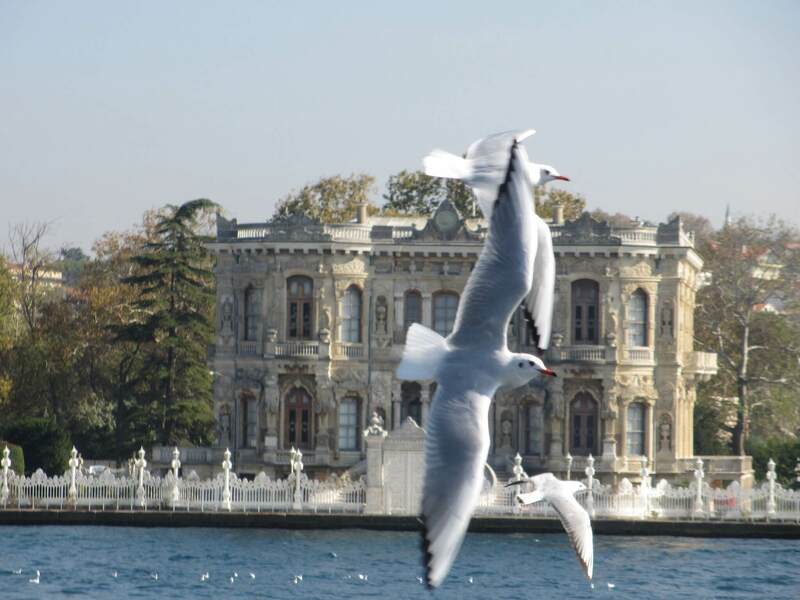 A Bosphorus cruise will give you a very different perspective of Istanbul – particularly of the Sultanahmet area. Don’t worry about the EUR35 trips sold by touts around the tourist sites. Head down to the main ferry area and catch the TL10 ferry. A two hour trip as far as the Rumeli tower and the second bridge, the only thing you will miss is the commentary. Take a decent guidebook or podcast, and you won’t miss a thing. Come Sunday, and it seems like half the world is on the street in the main tourist areas of Istanbul. In fact it is almost impossible to move in some streets. make Sunday your day to go to Asia. Take the ferry to Kadikoy (a short 15-20minute ride across the Bosphorus). Head “inland” a few streets, and find yourself a buzzy street market, with other streets filled to the brim with families lunching in outdoor restaurants and row after row of coffee shops. 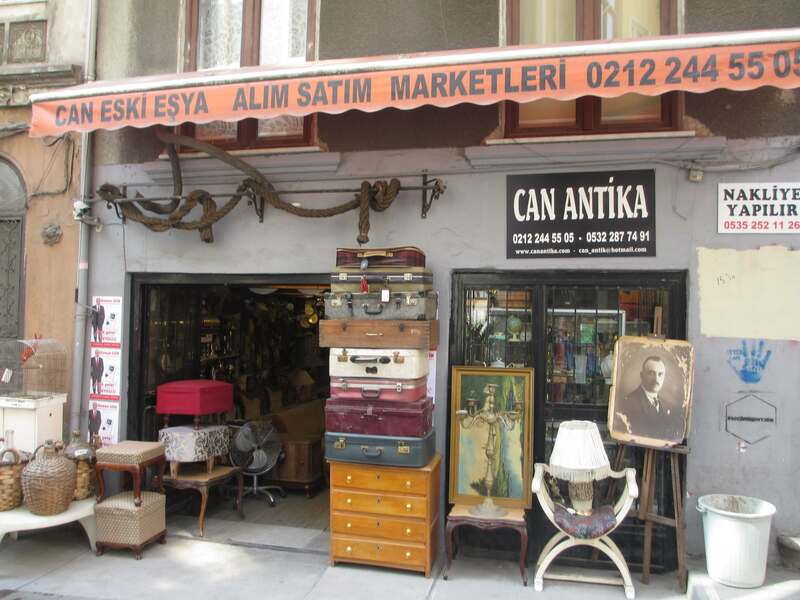 Enjoy the market produce, eat some great food, and check out café society, Istanbul style. Oh, and be the only tourist there! For a truly memorable experience, I thoroughly recommend a visit to the hammam. Experiences vary greatly, so do your research. Read your guidebook, check out blogs (you can read my review here) and ask for recommendations from others. I suspect it is a case of you get what you pay for when it comes to the hammam, so it’s perhaps one time to splurge rather than save. I’ve written a whole post on this. As well as writing about my fabulous walking tour. 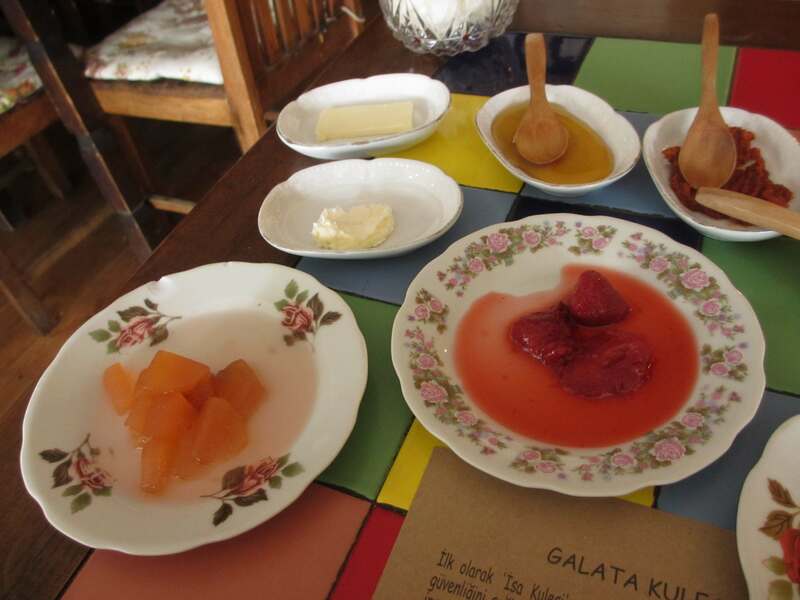 To summarise my experiences – I recommend a Turkish breakfast. 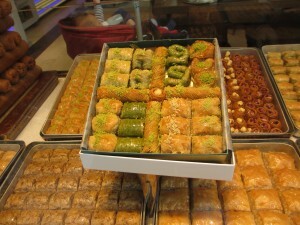 A good Turkish breakfast is a wonderful thing. While your hotel breakfast is likely to be good, try a café or two. In the New District, I can recommend Privato Café – don’t miss the Village Breakfast. I also recommend street food. Whether it’s roasted chestnuts, grilled corn on the cob or a fish sandwich give it a try! 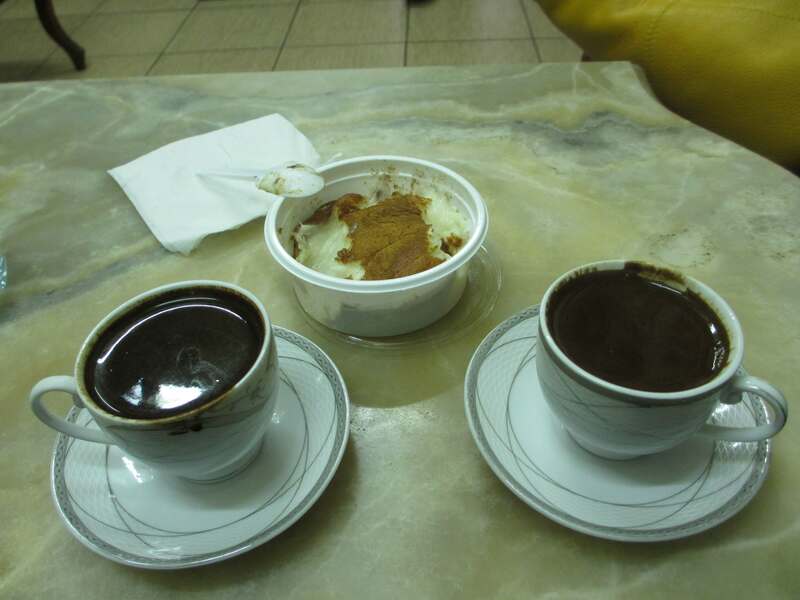 Whether you think you a going to like thick Turkish coffee or not, do at least give it a try. Order it with sugar if you are a bit nervous. Personally I think Istanbul is a city for experiencing, not a city for shopping. As a committed shopper, I don’t say this lightly. If your Lira are burning a hole in your pocket, look for carpets (of course). Watch the carpet salesmen carefully, and don’t go into shops unless you are seriously wanting to buy – carpet salesmen can be persistent and charmingly so. Beautiful, bright ceramics and pretty pashminas will take up less space in your luggage. If you are inclined, herbs and spices from the bazaar can make a fun, cheap momento. Istanbul is also home to every type of fake designer gear you could imagine, so if you’re into that, go for it. (Just remember that its importation can be illegal depending on where you are heading to). I could go on forever, but I will end here. Istanbul is a feast for every sense, and is as lush and rich as the most expensive carpet. It is as colourful as a market, and as cool as a cocktail on a balcony overlooking the Bosphorus. If you’ve ever thought about going – start planning now! I guarantee you won’t be disappointed. Thank you. That’s very kind. 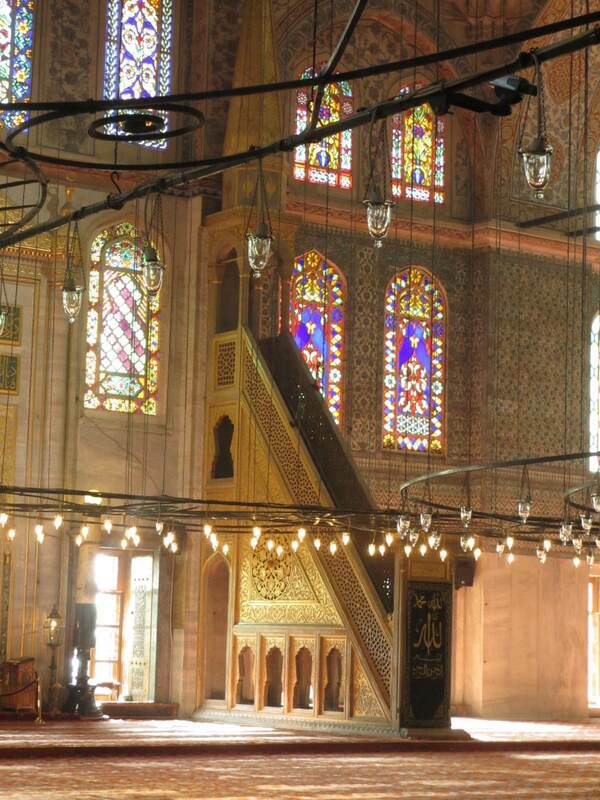 I love Istanbul, and could just go on and on…. Istanbul is a favorite city of ours! We love the East-meets-West flavor. Mosques and palaces. Great Turkish mezzes. Shopping! A handy little guide you’ve written :-). I’ve got a 9 hour layover in Istanbul in April – from 4pm to 1am. I’m torn about leaving the airport – 9 hours is enough time, but what will I be able to see during the evening? Head straight to the Grand Bazaar, you might just make it. Then head down to the Bosphorus and the Galata Bridge for sunset. 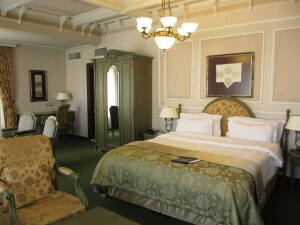 Then back to Sultanahmet for the evening and dinner. Hagia Sophia and the Blue Mosque are stunning at night. The Blue Mosque can be visited at night (only closes for prayers). There will be plenty of people around. There are some decent hammams in that area if you are interested. 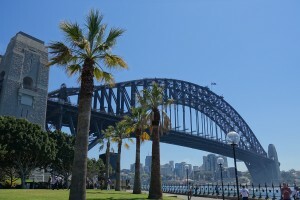 If you are travelling by road allow plenty of time as the traffic can be horrendous- have fun, it’s a magnificent city.